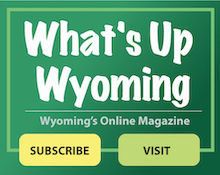 Technology Help for seniors is a FREE opportunity for Wyoming residents age 50 and over to get one-on-one help with your technology device(s). Volunteer students from Wyoming High School will provide patient, guided help as you learn the features of your device and how to do things on your own; you may even bring a list of questions! Feel free to bring your iPad, iPhone or Android cell phone, Kindle, laptop, or camera, or learn about video chatting services, computer programs, email programs, etc. And remember to bring your device charger (in case your battery runs low) and any passwords you may need (such as login info to download books, etc., IF that is what you need help with). You may sign up for a one hour-long time slot for any of the session(s), and yes, you may return for another session (and further help)! If you wish to work with a particular student, please sign up for a slot that student is working and indicate any requests with a comment. There is a limit of five seniors (paired with five students) for each one-hour time slot (so 10 people may be helped at each session). Deadline to sign up is 24 hours in advance. Classes have ended for the 2017 season, more classes will be added for spring 2018. Sign up for the Over 50s electronic newsletter so you can stay up-to-date on the class schedules. If you are not already signed up to receive the electronic newsletter and would like to sign up, click here.